Like rays of light, sunflowers brightly colored petals sweep outward. Perfect to send for special occasions and everyday ones, too. 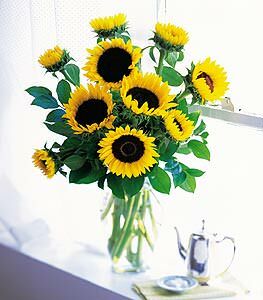 Sunflowers are delivered in a clear glass vase.